There is no such thing as a "one size fits all" estate plan. Make sure you get the individualized attention you and your estate deserve. Throughout our entire lives, we take care of our loved ones, whether they are siblings, parents, children, significant others, spouses, or close friends. When we are young, we take care of siblings and friends simply by being there. As we grow older, we share this love with them through celebrations and tragedies. As our parents age, we decide whether to put them into an assisted living home or taking them into our own homes. We decide which school or extra curricular activities to send our children to, and we want the best for them. When we are lucky enough to find a partner in life, we commit ourselves to them. We take care of them when they are sick and they do the same for us. We love and take care of so many people through our entire lives. This is why we worry about what will happen to them when we pass on. The solution is easy, all you need to do is write a Will and Trust. This is important because these documents allow us to take care of our loved ones, whether or not they are related to us by blood or marriage. Make sure you have a Will and Trust. If you already have these documents, look them over, make sure they properly represent your desires as your life progresses. The general consensus is that a person should look over his or her Will any time there is a life changing event: death, birth, marriage, divorce. Contact us about reviewing your WIll and Trust. There are many facets to Estate Planning, but they all revolve around taking care of our loved ones, as well as ourselves. For example, the only document that allows us, and not the court, to decide who takes care of our children after we pass, is the Will. The Trust, on the other hand, allows us to give an inheritance to our loved ones in such a way that it will not go to waste, and one can attach conditions to it. As much as we plan and prepare, there are just some things we cannot expect. It is this human element that makes the best plans go askew. When plans go awry it is important to be able to protect you legacy. Sometimes it is a disgruntled beneficiary who feels short changed. Unless properly blended, a second or third marriage will almost inevitably end up in front of a probate court. This is why it is important to plan properly beforehand. Estate Administration is just as important as Estate Planning. 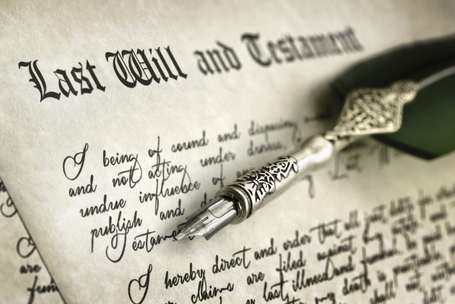 Estate Administration is the actual distribution of the assets of a loved one's Will or Trust. Generally, it is considered the collection and management of one's estate. This may be a bit more problematic if a loved one passed on without leaving a Will in place, but even with an estate plan in place, all the assets will eventually need to be collected for proper distribution.